This volume is the ninth of a series of twelve dedicated to Magre’s works. In The Albigensian Treasure (1938), we follow the adventures of Michel de Bramevaque, who launched himself in search of the Holy Grail after receiving a supernatural injunction. Magre, with elegant simplicity, leads us through a series of adventures and trials on the quest for the sacred artifact hidden by his Albigensian ancestors in the Languedoc soil. 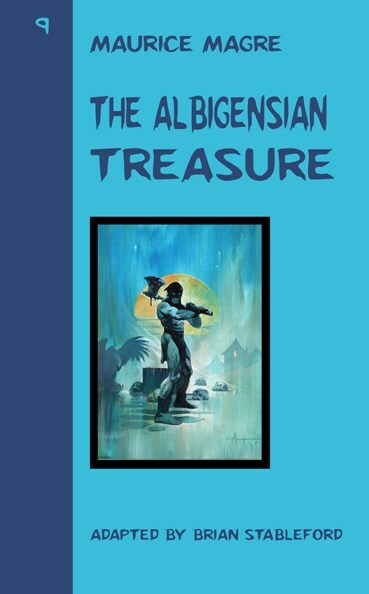 Long considered as one of the best works of esoteric literature of 20th century, The Albigensian Treasure, rooted in the Cathar religion, is rich in spirituality, demonstrating that, behind the visible face of things, often hides another, much more subtle. This is a superb novel of fantastic realism, steeped in a dark and tormented atmosphere. The book also includes a collection of similarly-themed vignettes from La Beauté invisible (1937).